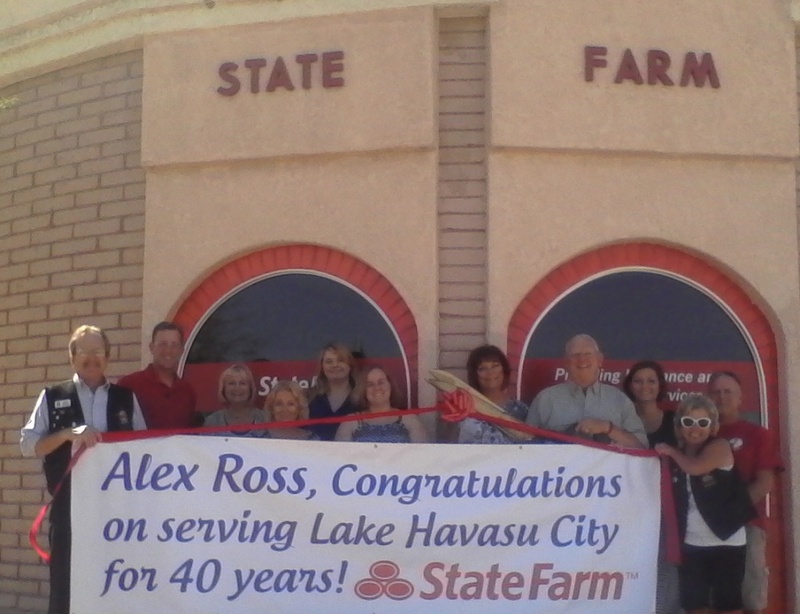 The Lake Havasu Area Chamber Ambassadors held a ribbon cutting ceremony for State Farm-Alex Ross Insurance Agency Inc, celebrating 40 years in business. Attending the ribbon cutting from left to right were Steve Bentley, Bryan Bagshaw, Ranae Reynolds, Sandy Sedinger, Kait Hensley, Nichol Holtrap, Cinda Ross, Alex Ross, Sasha Ross and Kathy Baumer. State Farm-Alex Ross Insurance Agency has been located in the same McCulloch Blvd location for 40 years and is proud to have been part of Havasu’s early years and its dynamic future. For more information contact them at 928-855-7677.